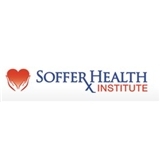 Soffer Health Institute (Miami) - Book Appointment Online! The Soffer Health Institute, with offices throughout Miami-Dade and Broward County, Florida, is dedicated to making you feel at home throughout your medical evaluation and treatment procedures. We will thoroughly evaluate your condition with the latest research and techniques available, answer any and all questions that you may have, and present you with a carefully considered customized treatment plan that best suits your individual needs. We are here to help you. It is our motto that “Home is where the Heart (and Veins) are” and we strive to treat you like family every step of the way. I love Dr. Noreen Zambrana.She is so knowledgeable .Every time i have a question or concern her answers (explanations) are so detailed and i feel that she specialize in every part of human body.She is so patient,caring and very kind.Her stuff is amazing,so friendly ,helpful and professional.I am grateful to have a doctor like Dr N. Zambrana. Excellent visit. Dr Furman was very imformative and made me feel at ease with his suggestions. Truly appreciate being seen with hardly any wait time. The rest of the staff was also very courteous.